WHAT A CHRISTMAS CRACKER OF A FAT CAT! Headlining are the mysterious MEN IN COATS! Men in coats are your modern day clowns. 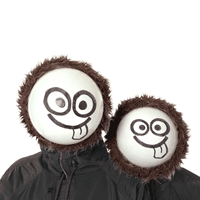 Their show is a tremendous display of purely physical and visual comedy, they do not speak a word! A typical Edinburgh Fringe sell out show, their act will never become old. They have various formats from as little as 10 minutes, to 25 minutes. They are a pure joy and simply great fun to watch. Funny aussie Felicity is your perfect compere, making you die with laughter at some pretty heart wrenching issues. A comedian with a cause, she’s not scared to talk about mental health and relishes in it’s complexities. With this in mind you would think she is a dark comic, but she is nothing of the sort. She has a bright infectious enthusiasm. 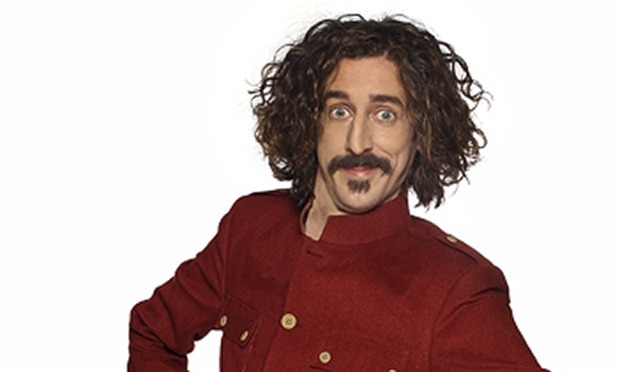 To top it all off, we have our friendly Yorkshireman, Tom Wrigglesworth. Often sporting a Seargant Pepper jacket, the quirky but laid back Tom has material reminiscent of Ross Noble but nowhere near as bizarre. Having compered our shows in the past, it will be great to see the original comic in his element. Nevertheless, I am sure he won’t be able to resist a bit of audience banter. ‘The gods of comedy chose Tom Wrigglesworth for greatness’ ***** (Scotsman). ‘Magical Storytelling…a rare talent…hysterical and accomplished’ ***** (Timeout). ‘Funny bones’ (Evening Standard). Previous PostNew websiteNext PostFirst Fat Cat of 2016!